Because the nuclear issue is not simply political but also a profoundly moral and religious question, the Church must be a participant in the process of protecting the world and its people from the specter of nuclear destruction. The 60-year-old nuclear age has seen U.S. religious communities wax and wane in their engagement on a host of theological and moral questions posed by these weapons of mass destruction. Following the end of the Vietnam War, there was an explosion of antinuclear work by faith communities. The end of that war, a war contested by religious groups, coupled with the threat of increased nuclear proliferation caused a shift in religious reflection on war and peace. Many religious groups turned their attention from the issues surrounding a particular war to a more general reflection on the conditions that make for peace and the conditions that threaten human security such as nuclear proliferation. In the 1980s, therefore, many faith groups including the Protestant, Catholic, and Jewish communities produced peace statements and explicitly antinuclear statements. Prominent among these was the American Catholic Bishops’ powerful pastoral letter, “The Challenge of Peace: God’s Promise and Our Response.” But the American Catholic Bishops were not alone. The Southern Baptist Convention supported a nuclear freeze in 1982 and so did the Episcopal Church, which also made a pronouncement regarding no first use of nuclear weapons. That same year also saw a statement from the Central Conference of American Rabbis supporting a bilateral nuclear arms freeze and reduction. And in 1985, the United Church of Christ supported a complete ban on nuclear weapons in its “Just Peace” pronouncement and subsequent book. Finally, in 1986, the United Methodists published “In Defense of Creation: The Nuclear Crisis and a Just Peace,” which opposed nuclear weapons. But these faith groups did more than issue statements—they put together antinuclear marches that drew hundreds of thousands of people. 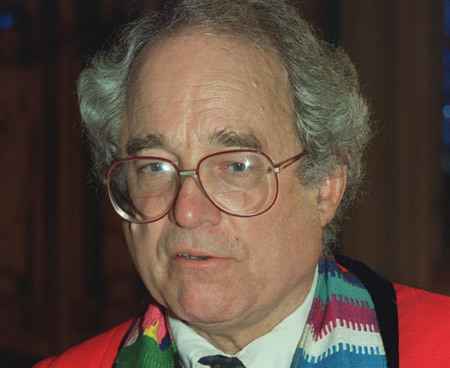 William Sloane Coffin and other faith leaders organized these marches that brought widespread attention to the issue and showed the faith community’s commitment to fighting nuclear proliferation. American faith communities’ track record on opposing nuclear weapons is so far reaching and strong that it’s fair to say faith-based rejection of the development, deployment, targeting, and use of nuclear weapons is one of the most widely shared convictions across faith traditions. In addition to the work cited above, this would include the American Baptists, historic peace churches (Quakers, Mennonite, Brethren), Presbyterians, and Unitarians. Muslims also began to speak out against the nuclear threat in 2000. Dr. Muzammil H. Siddiqi of the Islamic Society of North America stated, “We must say to ourselves first and then to the world that we want a total and universal ban on the possession and production of nuclear weapons” and argued that Islam supported this view. He made these remarks at the release of the “Joint Nuclear Reduction/Disarmament Statement” by religious and military leaders at the Washington National Cathedral in June 2000. Though religious groups were highly active on nuclear issues in the 1980s, there was very little antinuclear activity on their part in the 1990s. The world and its religious bodies breathed a sigh of relief at the end of the Cold War not yet recognizing new threats to human security around the world. 9/11 changed that. The plumes of smoke rising from the World Trade Center spoke volumes to the American people and the world about the risks of nonstate actors or a rogue state acquiring a nuclear weapon and detonating it. Since then, religious groups have showed a renewed interest in antinuclear work, but this time the work has been mostly interfaith. In 2005, a group of Muslim and Christian religious leaders worked together for months and produced a joint statement opposing all nuclear weapons based on their religious beliefs. This statement was done in part for the United Nations 2005 review conference on the nuclear nonproliferation treaty. Churches and related groups that work against nuclear and other weapons of mass destruction are contributing to the WCC (World Council of Churches) Decade to Overcome Violence, to its final regional focus on Africa and to the 2011 International Ecumenical Peace Convocation. The 2011 event takes place in the Caribbean, which is part of the world’s first nuclear-weapon-free zone. This type of interfaith work is especially necessary today since much of the opposition to the administration’s current nuclear posture review singles out Iran as the reason the United States should be more aggressive on nuclear policies, not less. Criticism of Iran, however, needs to be specific and not simply used as a religious or political pretext to further Islamophobia. But Christian antinuclear work continues to be important in addition to interfaith work. Younger Evangelicals like Tyler Wigg-Stevenson are beginning to argue that conservative Christian theology supports eliminating nuclear weapons. This work is critical to counter conservative Christian support for “nuclear apocalypticism,” the view that God will use nuclear weapons to usher in the Second Coming of Christ. Additionally, the American Catholic Bishops have stepped back into a leadership role on establishing a moral vision for a nuclear-free world, sending a letter of support to President Barack Obama welcoming the signing of the New Strategic Arms Reduction Treaty and calling for bipartisan Senate ratification. All this excellent religious work—both interfaith and in individual traditions—is necessary but not sufficient. It’s time to take the work to the next level, which means urging policymakers to move forward on a nuclear-free world as well as engaging the American public more directly with faith-specific support for nuclear arms control, reduction, and eventual elimination to counter the pro-nukes message of the religious and political right. Interfaith efforts in the USA since 9/11 have been intensified and have emerged as an important factor in creating opportunities for face to face learning about the other. However, our experience in interfaith work has taught us that we must move beyond words and talk. Across the faith spectrum, the religious vision is becoming startlingly clear. It’s the action we need to work on. Rev. Susan Brooks Thistlethwaite is a Senior Fellow at the Center for American Progress.